Prism Stars look like this. 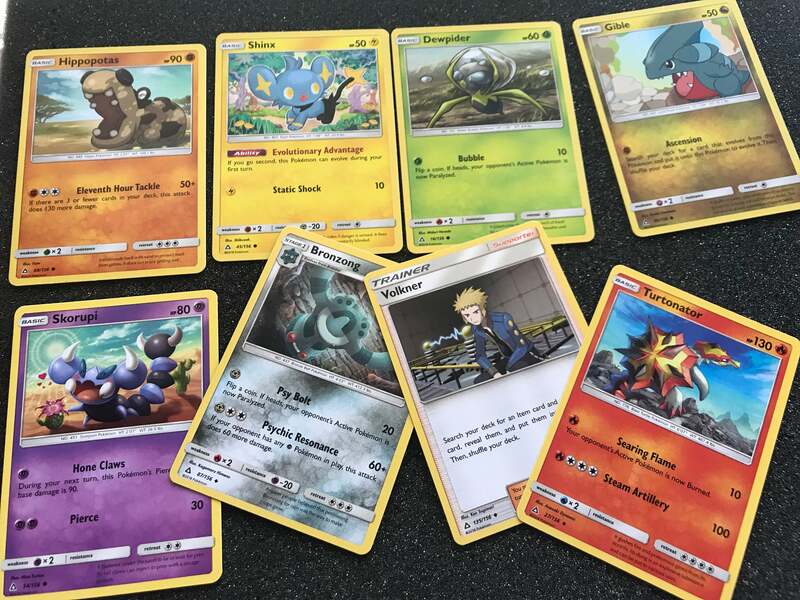 I do most of my Pokemon TCG playing online, but I still like tearing open fresh packs, sniffling card stock and slotting the cards in binder pages. 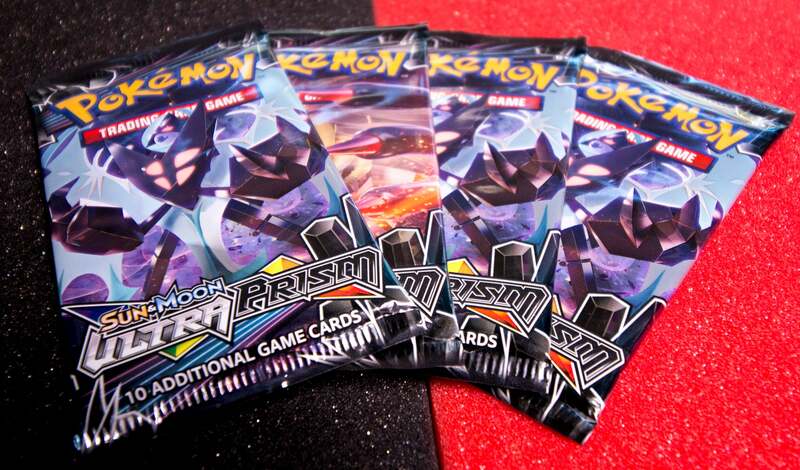 I'm hoping these four booster packs contain at least one or two of the new Prism Star cards, special versions of regular Pokemon, support and energy cards so powerful only one copy of each can be in a player's deck. There are only six of them in the entire expansion. 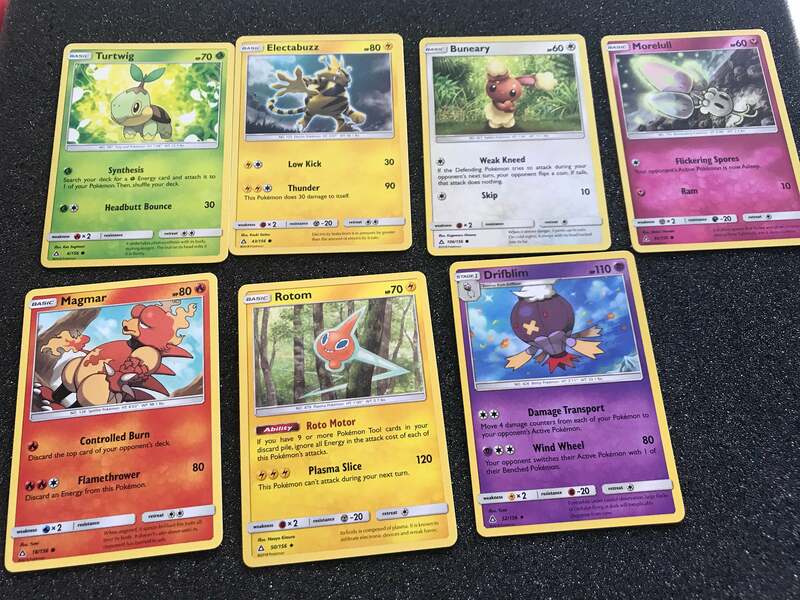 They will look especially nice in the binder sheets. Right-click and open in a new tab to see full-size image. It's always nice to see Eevee. These are some very pretty cards. A couple of them are orange, which I appreciate, while the blue and green provide a nice contrast. We've even got Turtonator in the mix. 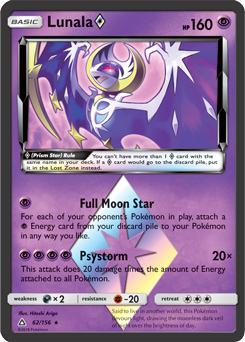 That's an uncommon; you can tell by the diamond shape in the lower left-hand corner of the card. The rest are common, and should probably just be thrown out. 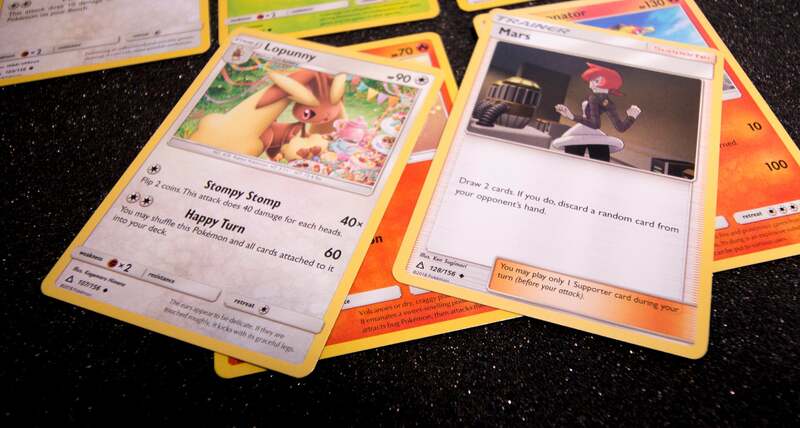 Moving up a tier, there's Lopunny, the evolved form of Buneary, along with a Mars trainer card. My favourite Lopunny tactic is to hold it in front of my opponent's face and make rabbit noises. Well I am definitely throwing out the other Eevee now. This one is shiny and covered with stars, which makes it a lot better. 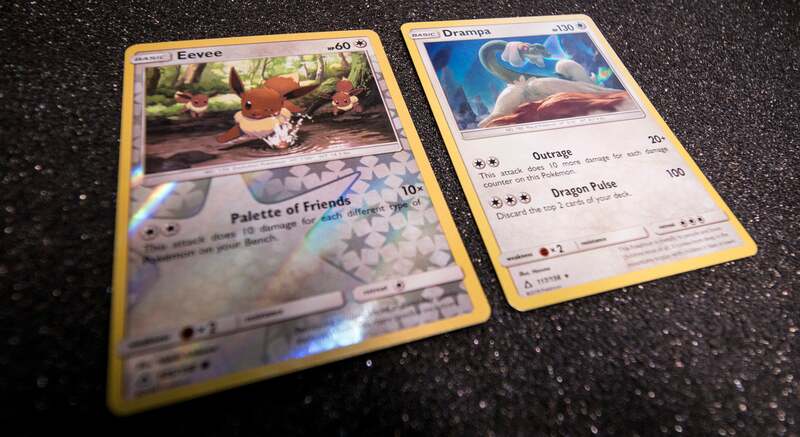 This pack's rare card is Drampa, one of the most charming Pokemon. Not a great start. Some fine cards there, but I am looking for Prism Stars. None of these are Prism Star cards, so I just wasted five minutes. Hey look, a Buneary! Now I can make it evolve into Lopunny and put my ultimate plan into action. 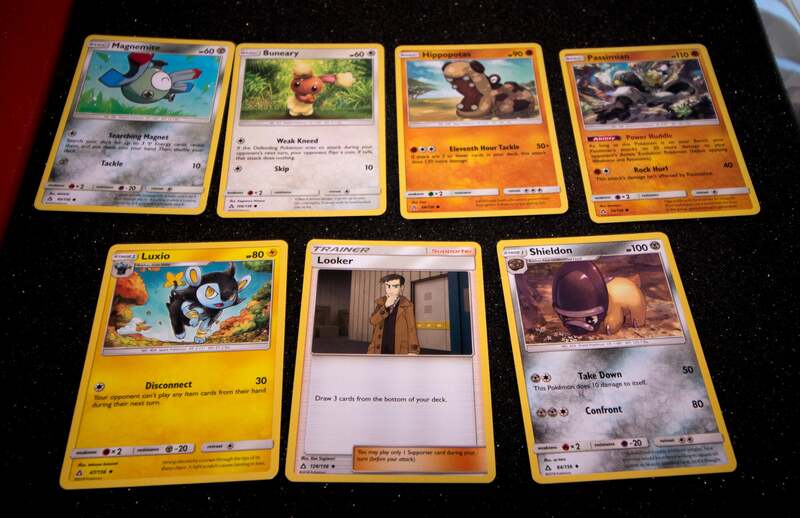 Also note Passimian. See how much text is on the card? The more text a card has the better it is. It's a well-established fact I just made up, one that's certainly not going to result in me getting yelled at on Twitter. There are exceptions to this rule. 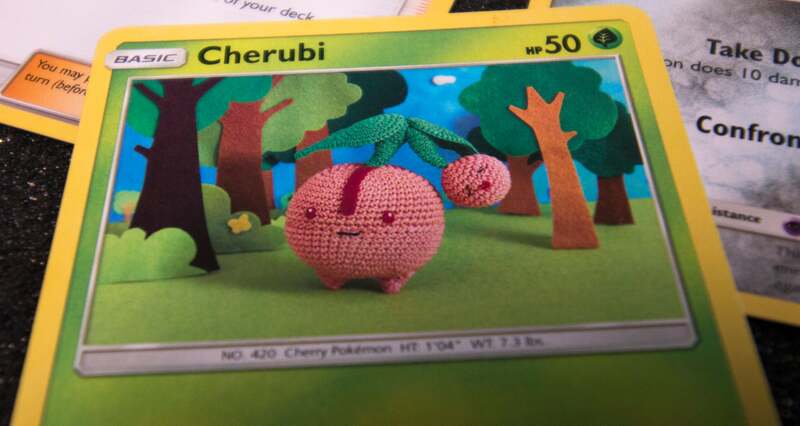 Look at yarn Cherubi. Yarn Cherubi needs no words. But otherwise yeah, more words, more power. 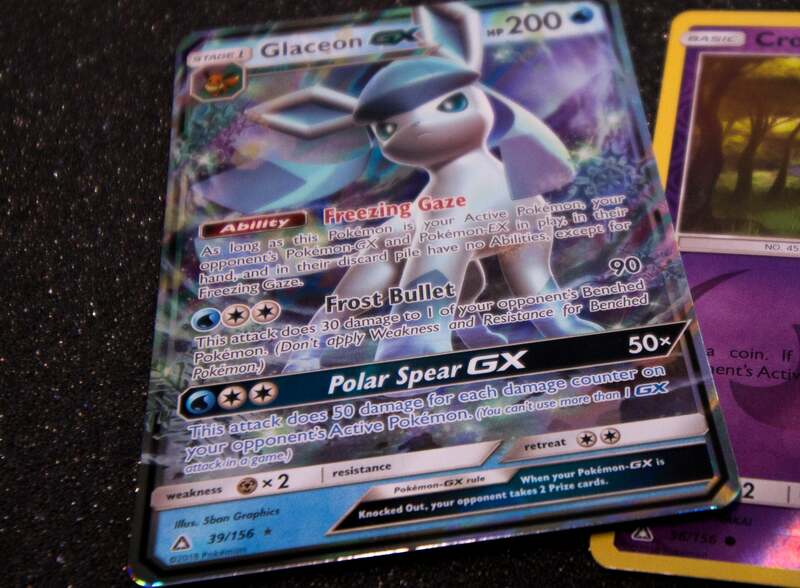 Setting aside my flippancy for a moment, HELL YEAH GLACEON GX. It locks your opponent's EX and GX abilities! It does splash damage to the opponent's bench! I mean, whatever, it's no Prism Star. 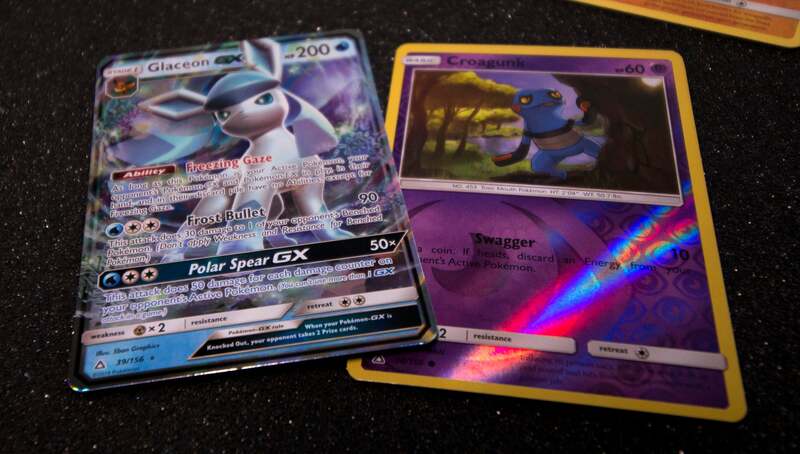 Pokemon TCG fans will notice I am not showing which energy cards I'm getting in the boosters. That's because they have all been basic. Except the one that came in this pack. It was special energy. You should have seen it. You'll also notice that the picture quality changes for the last two packs. That's because my camera lights gave up hope of getting a Prism Star card. I'm still hopeful, even if every other card is a Buneary. I'm mostly kidding. 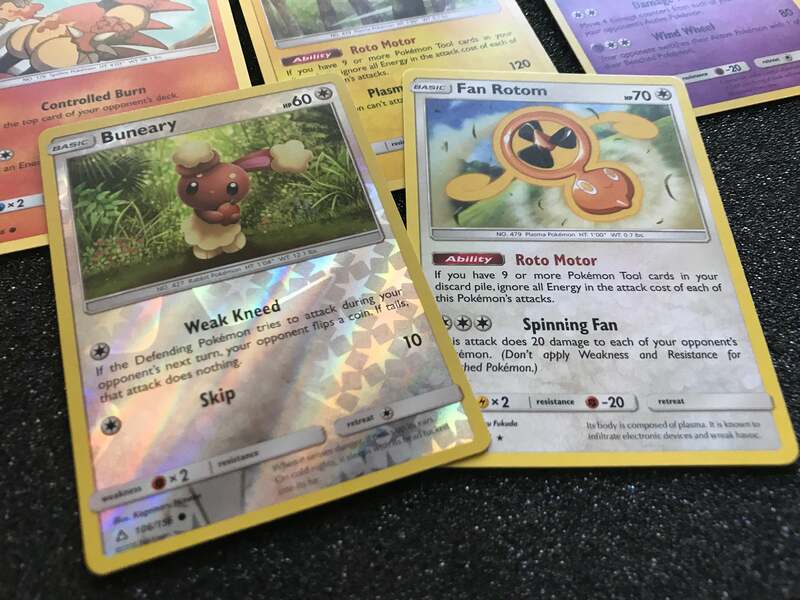 Fan Rotom is a nice rare, though I find its lack of shine or foil disappointing. Oh well, one chance left. Big money. No whammies. Eh, nothing much. 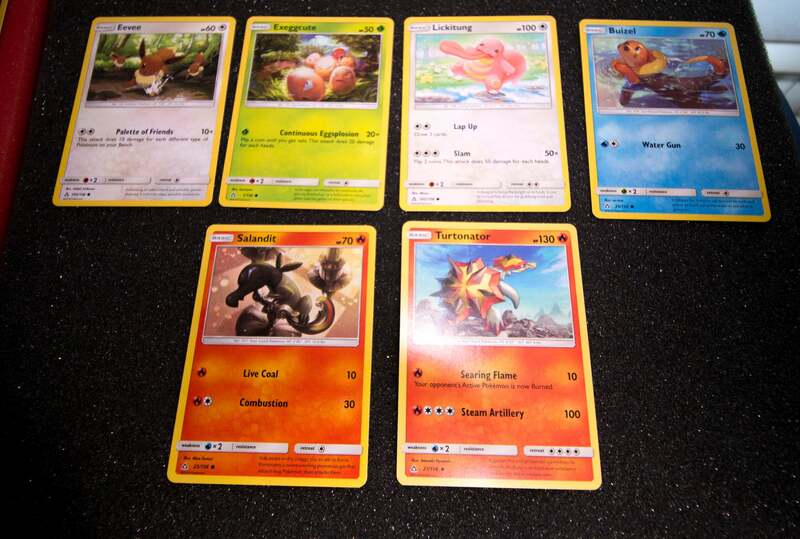 You can tell from the relatively short text on each card. I am sure these are very nice when used in the physical game. Maybe someone out there reading this is going, "Aw man, he got two Turtonators across four packs? No fair!" I also got two Hippopotas and 8,000 Bunearies. DAMMIT. These are the worst cards. THE WORST. 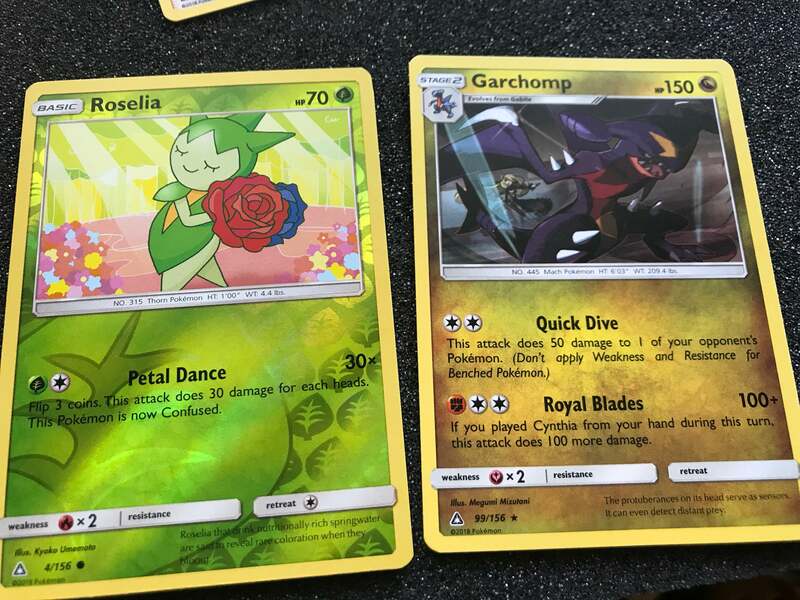 I mean, I love the art on Roselia, and the green foil is quite attractive. And Garchomp seems pretty useful, especially combined with Cynthia. Maybe not the worst. But none of them are Prism Stars, so they are the worst. Well thanks a lot, The Pokemon Company. Your silly need to make certain powerful cards much harder to find than others has turned what could have been the feel-good story of the year into Geraldo Rivera opening Al Capone's vault. I am ruined. Now if you'll excuse me, I am off to hug my Glaceon forever.